Flute player, tin whistler and singer Cathal McConnell of The Boys of the Lough is one of the best-loved performers in the world of Celtic music. A true character in every sense of the word, McConnell’s free spirit and mercurial stage presence have helped make The Boys of the Lough one of the most popular and longest-running acts on the folk circuit. As a musician, McConnell defies easy categorization. He is equal parts modern virtuoso and old-time roots musician. On the one hand, McConnell is capable of stopping a show with dazzling displays of technical virtuosity. On the other hand, he can render an old ballad or tune with a poignancy reminiscent of the great fireside musicians of the past. Sometimes serious and sometimes zany, McConnell is always full of surprises. Whether deconstructing an old tune or composing a new one, he has a flair for the unusual. Yet his experimental side is balanced by a deep love for and commitment to the tradition. Born in Bellinaleck, County Fermanagh, N. Ireland in 1944, McConnell traces flute playing back through four generations in his family. Encouraged by his father, he was playing tin whistle at age eleven and at age fifteen took up the flute. McConnell’s early mentors were the great roots musicians of his home county – men such as Peter Flanagan, John Joe Maguire, Big John McManus, Tommy Maguire, Tommy Gunn, Eddie Duffy and Mick Hoy. He was exposed to other playing styles by listening to 78s and by traveling the length and breadth of Ireland, collecting rare tunes from old musicians in out-of-the way places. Through the years, McConnell has developed his own style of flute playing – at once earthy and robust, yet with a hint of plaintiveness. This plaintiveness owes much to his ethereal singing style. Indeed the line between vocalist and instrumentalist often blurs with McConnell. The two modes of music making co-exist in a rich, synergistic cross-fertilization. 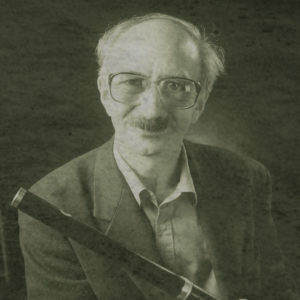 In 1962, McConnell won the All-Ireland championship on both the flute and tin whistle. Five years later he founded The Boys of the Lough with Robin Morton and Tommy Gunn and never looked back. He has been a professional musician ever since. Despite over thirty years on the road as a performer, McConnell has never become jaded about playing or singing. Music is his passion and he approaches it with undiminished enthusiasm. It is not uncommon for him to reach for an instrument before breakfast and continue to play well into the evening. On greeting a friend or acquaintance, he will often produce a tin whistle from his pocket and entertain the companion with his latest composition or discovery. Not content to rest on his laurels, he is constantly learning, revising, experimenting and growing. Yet he always returns, as he does on this new album, to the music of his native Fermanagh and the neighboring counties of the province of Ulster. On Long Expectant Comes at Last, fourteen out of nineteen tracks have a Fermanagh or Ulster connection. Some of these are fresh treatments of well known classics. Others are rare gems, never recorded before. As always, McConnell’s inimitable vocals, flute and whistle playing shine throughout. Together with special guests Richard Thompson, John Doyle and Winifred HoranColm Murphy of De Dannan, Joanie Madden of Cherish the Ladies, Dave Mattacks, Big John and Valerie McManus, Linda Thompson, Andy Statman (both of Solas), and Susan McKeown among many others, McConnell delivers a seamless set of songs, jigs, reels and airs that deftly interweave elements of traditional and modern Celtic music. With technical brilliance and integrity, he brings forth a collection of music that embraces the traditions of his home and sets a new standard for the traditional Celtic recording.